We’re not cooking Greek. This time it’s Spanish. 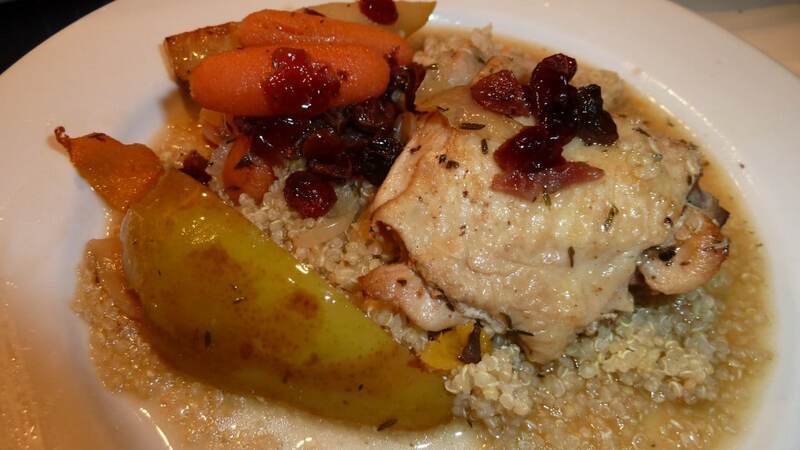 Here’s my recipe for Catalan Roasted Chicken with onions, carrots, cinnamon, thyme, pears, orange juice and zest, raisins and dried cranberries. I adapted this recipe from one in Sur La Table’s** cooking class, “Date Night: Tapas Party. I served it with quinoa. 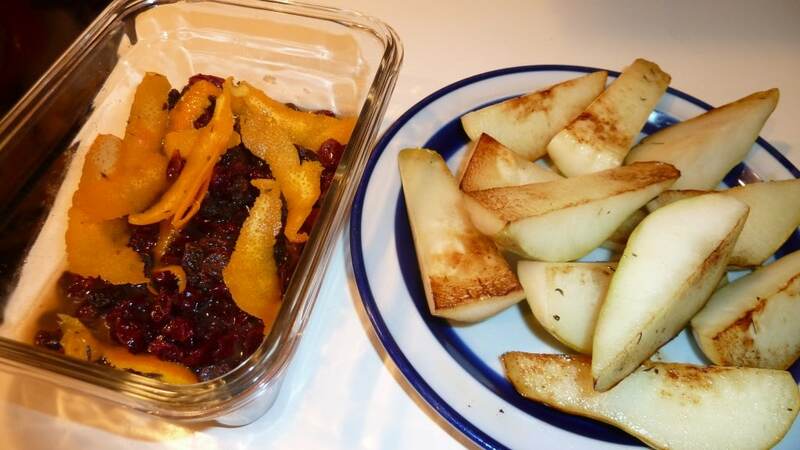 There’s a printable recipe at the end of this post. Be sure to check it for coupons. 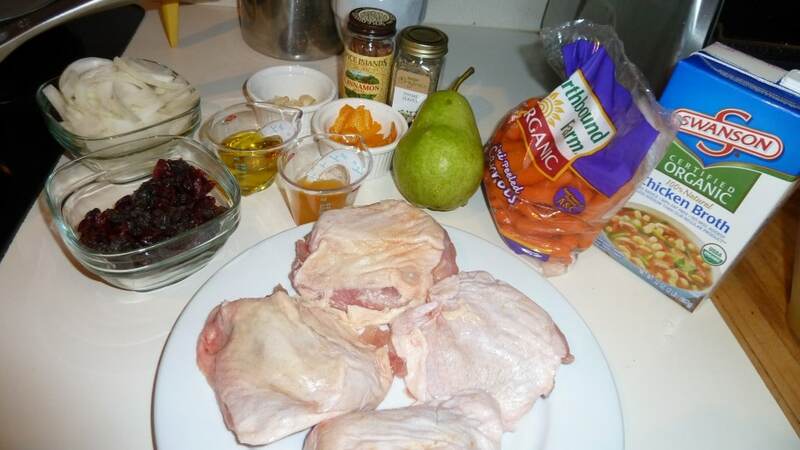 Ingredients: Chicken thighs, salt and pepper, olive oil, onion, carrots, cinnamon stick, thyme, chicken stock, garlic, pears, raisins, dried cranberries, orange juice & zest. 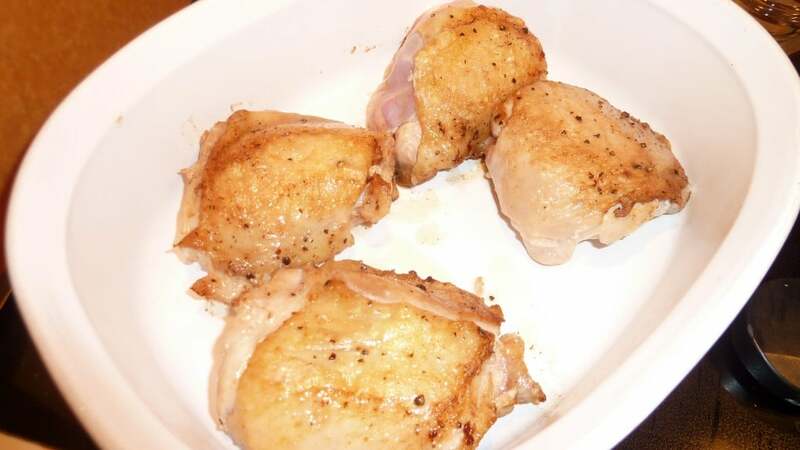 Chicken thighs seared until golden brown in olive oil and a little butter. 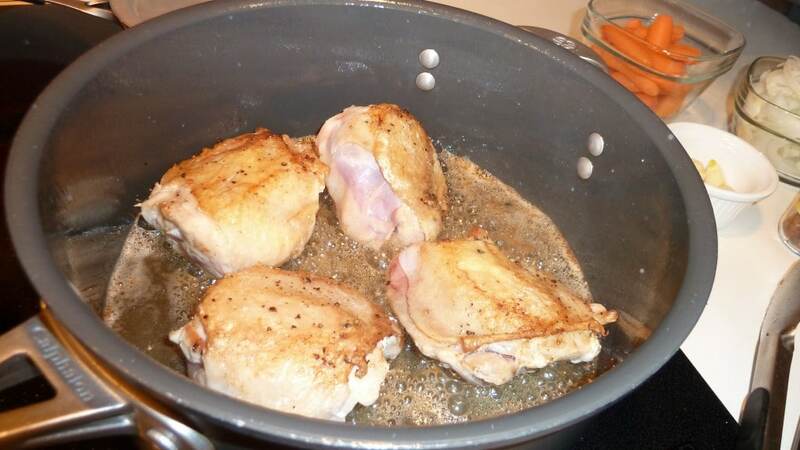 Golden brown chicken in ovenproof dish set aside. 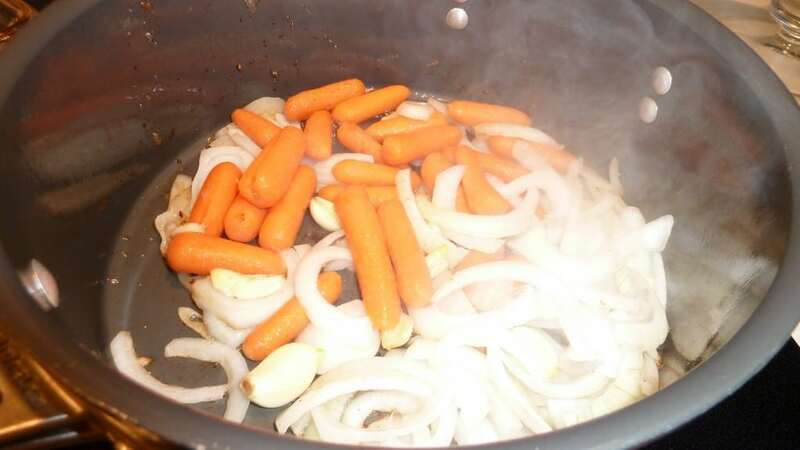 1/4 cup of pan liquid reserved. 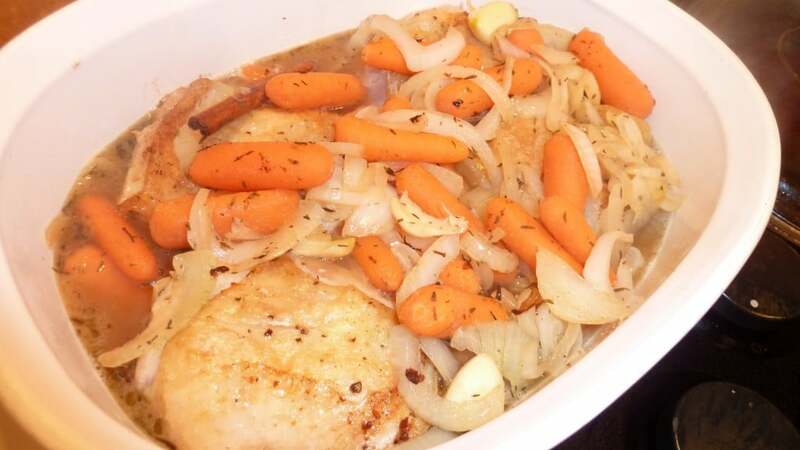 Onions, garlic and carrots cooked until soft. 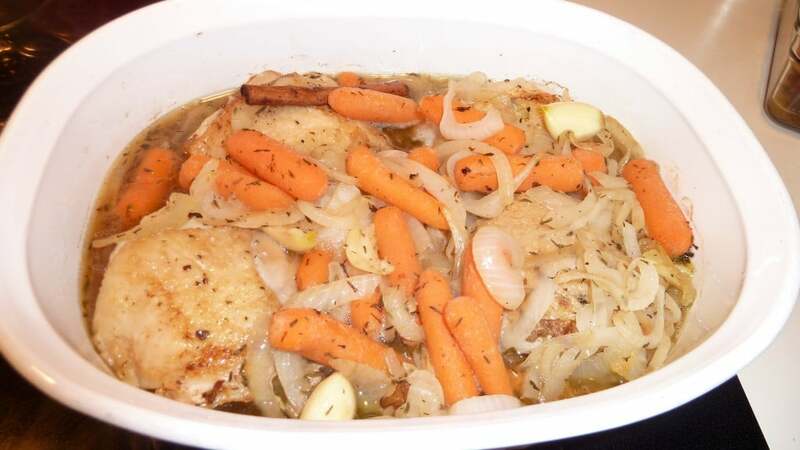 Stock added and mixture poured over chicken – ready for the oven. Pears frying cut side down, until just slightly brown. 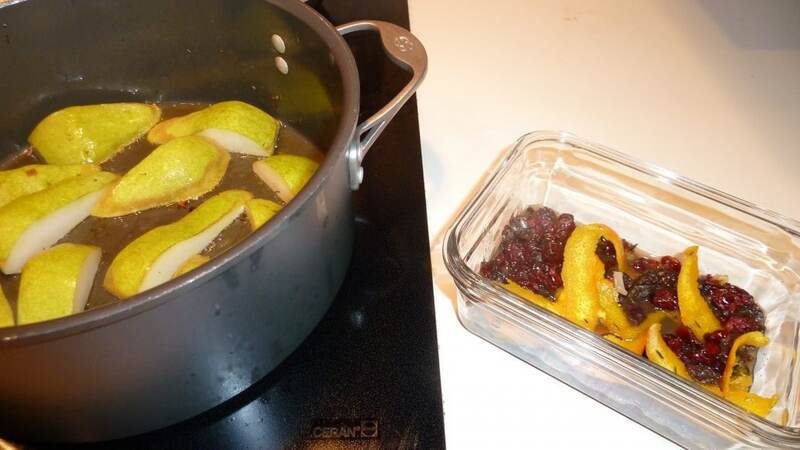 Combined fruit mixture. 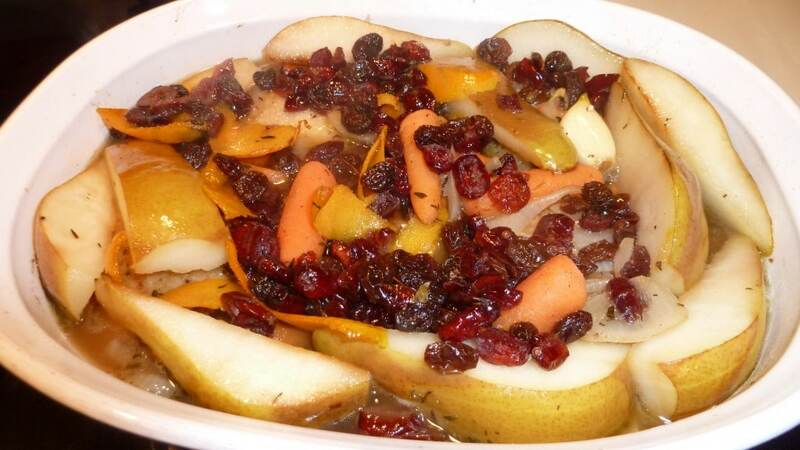 Fruit mixture with juice, zest and reserved pan liquid and browned pears. I used orange zest strips for a more rustic look or you can zest with a microplane. Finished after baking another 15 minutes in 350° oven. 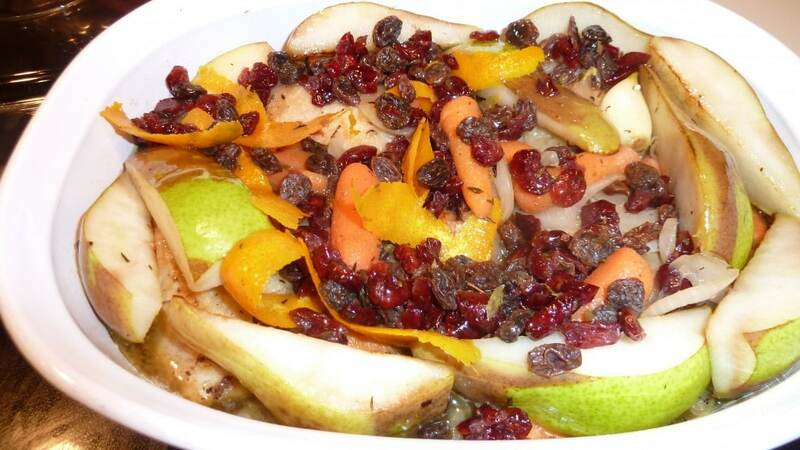 This Roasted Chicken with cinnamon, thyme & pears recipe is a Catalan specialty of poultry and fruit, traditionally served with duck. ** ICYMI I work at Sur La Table Cooking School.